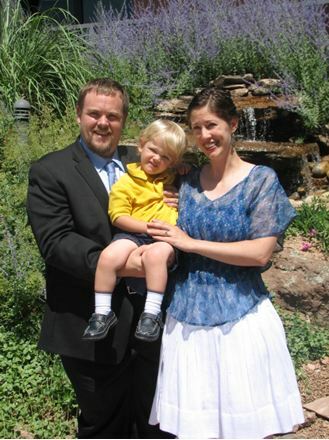 Joseph, pictured with his wife, Shannon, and his son, Zach. Math is a system of rules, and so is computer software, says Joseph Pingenot, a software developer in the Enterprise Miner group. Pingenot—whose background in physics includes modeling quantum wells, semiconductor research and next-generation electronics—uses math every day, at work and at home. Read on to find out how! Computers are math all the way down. Before this, I was a physicist, and I modeled the semiconductors that make up computers. There’s math involved in the algorithms we use. And there are proofs, too—you can actually prove things about software, although they’re usually pretty specific, narrow cases. Math is a really good way to understand the universe. I tend to like systems and I learn systems well. That’s why I do well with software, because it’s a system of rules. And you can use those rules to do a lot of cool things. It’s the same with math: using the rules of math—that you can actually derive from a basic set of postulates—you can make a whole system to do cool things with. Of course, I’m not really a mathematician, but I play one in physics. I have a BS in physics and a PhD in physics. I also almost got a degree in computer engineering, which is just more math. Can you talk more about your background in physics? Before this job, I was a post-doctoral researcher at the University of Oklahoma doing semiconductor theory, so I would actually model quantum wells and quantum dots. A quantum well is essentially a “sandwich” of material such that the electron is squeezed in the middle. By controlling the profile of this “sandwich,” if you will, you can control how the electron behaves within the well. It’s the same with quantum dots, only in three dimensions. We used the quantum wells and dots to do some really interesting things. What kinds of interesting things? Well, for instance, we were looking at the electron spin. Electrons have a charge property and a spin property—conventional electronics just uses the charge property, but there’s another branch of next-generation electronics research and development that is spin-based. The idea is to use the spin of the electron in circuits to perform calculations that can’t be done with conventional electronics. Do you still work with physics? It’s more of a hobby now with my job. I used to be a physicist and a programmer on the side, but now I’m a programmer and a physicist on the side. How has math been useful to you in everyday life? I used a lot of math when I built my deck. We had an area that we needed to fill with boards; without math, you have a guess as to how to put the deck together, but math lets you model it before you physically build it. You don’t want to waste money and time going back and correcting mistakes. Of course, the mathematical model and reality are always two different things, but you can use math to minimize the difference as much as possible. What are your favorite math blogs or journals? There’s usually some good content on the ScienceBlogs website. Also, the SIAM twitter feed (@SIAMconnect, Society for Industrial and Applied Mathematics) is fun to follow. Leonhard Euler, a mathematician and physicist, was pretty awesome. I don’t know much about his personality. Another physicist, Paul Dirac, did some really cool stuff, too, and his personality is somewhat legendary. It's particularly interesting when you're discussing famous people whose names you've seen plastered all over textbooks with older colleagues and advisors. You get to hear the stories—some of them first-hand accounts—about what the big names were really like personally. It really takes your appreciation of them to a deeper level, from just their scientific and mathematical accomplishments to them as human beings. It’s more than just crunching numbers. If that’s what you find fun, go for it, but I never found that thrilling and I was very bad at it. Just stick with it because the more fun stuff is later on. There’s all kinds of awesome, crazy math out there that’s a ton of fun to play with. Math is just a system of things that you can do other cool things with. For me, the fun is figuring out the system; perhaps that’s why I’m into computer software. Ultimately, I think there’s something for everybody in math. If you’d like to learn more about quantum wells, semiconductors, or how to build a deck efficiently, feel free to contact Joseph at joseph.pingenot@sas.com. 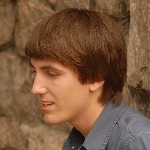 Joseph is also on Twitter (@JoeHPA) and on Google+.